Sometimes the hardest thing is recognizing that something is just not right. For people wondering if they have symptoms of a mental health condition, or for their families, help may be just a click away. 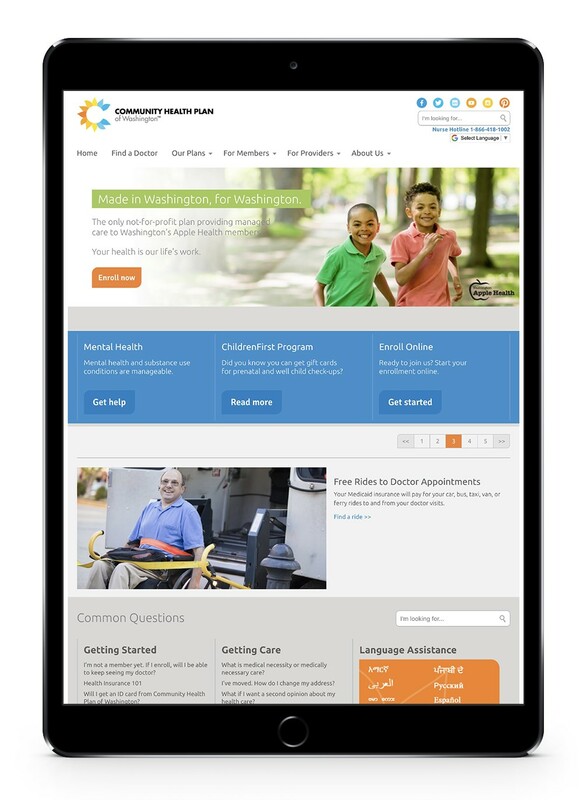 The Community Health Plan of Washington has created a comprehensive website to help people navigate a wide variety of issues that affect both adults and children. Anxiety, bullying, depression and eating disorders are among the dozens of topics covered. Searchers will also find answers to questions about medications and side effects, as well as substance abuse warning signs. And there's information on how to help someone who is in immediate distress, including access to crisis lines. The goal for the website is to provide nonjudgmental information and remove a common barrier to getting help, says Community Health Plan CEO Leanne Berge. "When it comes to mental health conditions, people are reluctant to talk about it, reluctant to even talk to their own doctor about it. ... This is a way for people to get help and to seek help sooner." The information, available free even for non-members, is presented in "a bite-size, user friendly way... in part reassuring and in part offering resources outside the website," says Berge. To access the website, go chpw.org, click on the Members tab and then go to Mental Health Resource Center. Don't worry if you aren't a member; the website is free to the public.